We’re all connected by a love for travel!. A travel bag which one can rely on, is a must have accessory, while exploring new travel destinations. 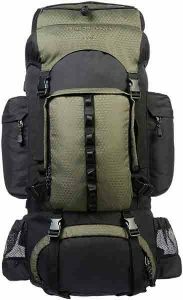 Rucksacks/trekking bags, are designed to withstand some rough & tough conditions while travelling or hiking. Rucksack should not be confused with other type of bags. By name, they do mean a bag which carried on the back but they are different in terms of appearance & make material. They are a little large in size compared to normal back packs. They have many pockets to carry small items. These bags can carry larger items as well. It is made with rugged materials to withstand, a rough journey. 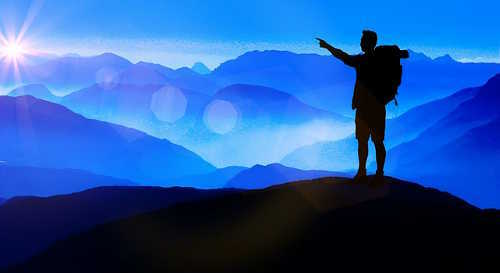 So the demand for products used while trekking and travelling have increased considerably in the past few years. Similar to rucksack bag, there are other kind of bags, used for specific travelling purposes such as Haversack, knapsack, packsack etc. Knapsack is also a backpack but it is smaller in size. They are mostly used for everyday use. These bags are useful for one day treks in which one do not have to carry more items. Haversack has just one strap unlike other bags. Like Knapsack, they also carry lesser number of belongings. Rucksacks can be further divided into alpine, travel, hybrid and bush walking. 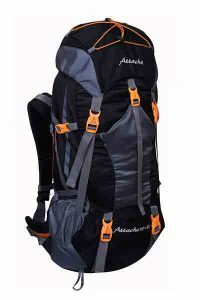 Alpine packs are designed to use for trekking in snowline areas. Bush walking packs are useful to carry larger items like stove, tent, sleeping bag etc. Travel sacks are meant for travelling on-the-road use. They have multiple openings to carry more items. Hybrid sacks are mix of bush walking and travel pack. Make material – nylon, politer or canvas materials are the best trekking bag materials. Before buying the rucksack, one must know the purpose for which it is purchased. What kind of material will be carried in it, how frequently it will be used?. For example if you regularly carry your laptop with you, then it is good to choose a trekking bag with laptop pouch. These bags are usually larger in volume. They these cannot be used for everyday use in office or school as their purpose is different.One must consider the weight of the bag also. 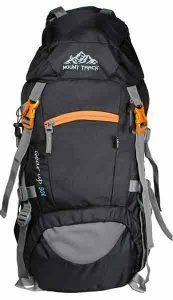 Rucksack are meant to be used for trekking. So it should not be heavy enough to carry because during trekking it is difficult to carry bigger weight items on the back. You can quickly get exhausted after walking a few miles. Its height should also be considered while purchasing. Some companies sell rucksacks and also provide a few accessories like additional holders to carry torch, camera, water bottles etc. It needs to be decided whether these addons are really required or you can do away with it. You also need to test the bag before purchasing it. You can do some tests by filling the bags with some necessary items which you will carry and walk. It will give you a feel about how easily you can carry the bag. Though this backpacks are meant for rough and sturdy use, they might sometimes get torn or damaged. In that case, one should know how to repair them. Some brands do have some warranty and guarantee but it is always good if you know how to repair the bag in case of emergencies. Also it goes without saying, that the bags should be waterproof. They are widely available at different places like malls, sports good shops, speciality shops of that particular brand. They are available online as well on eCommerce sites. There are some brands dealing in this specific category. 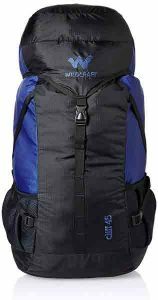 Following are the five best camping backpacks available online in India. Rain cover, laptop & pouches – sleeping bag compartment, ample space, rain cover. Best for those who are looking for light weight trekking bag. Product dimensions – 34 cms length, 23 cms width and 45 cm height. Other features – Adjustable Waist Belt, Expandable Sack Opening With Laptop Compartment, Laundry Compartment, Chest Strap, Integrated Rain Cover, 2 year warranty. Water proof – Yes, colour options – black, grey. Other features – Adjustable shoulder straps, load balancing straps, extra padded straps, chest strap, adjustable sternum straps, comes with rain cover, internal back support, separate shoe compartment, mesh bottle holders.